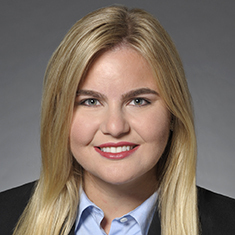 Sophia Popovic is an associate in the Real Estate practice. While in law school, Sophia served as an extern to the Honorable Marvin E. Aspen of the US District Court for the Northern District of Illinois. She also was deputy editor-in-chief for the Northwestern University Law Review and participated in the Northwestern Death Penalty Clinic. Shown below is a selection of Sophia’s engagements.